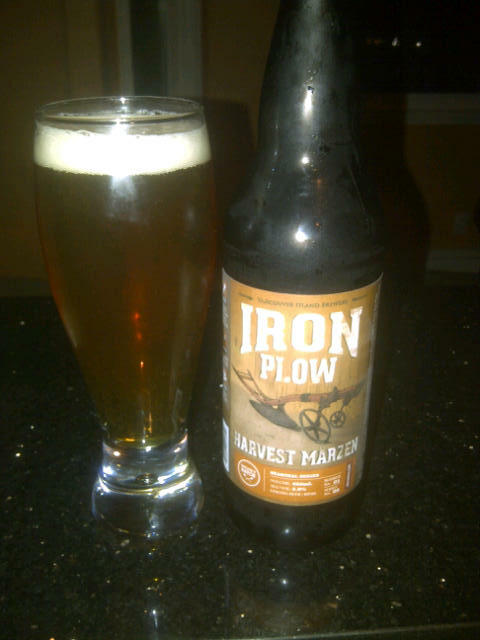 From Vancouver Island Brewery out of Victoria BC comes their limited edition “Iron Plow Harvest Märzen” an Octoberfest style Lager. This beer pours a dark Golden colour with a beige head. The aroma of the beer is malty, bready with some sweet caramel. This is a full flavored lager with medium roasted malts, bread, caramel and a medium hoping for a lager with a nice creamy finish. The alcohol content of this Märzen is 5.8% and an estimated IBU of 60+ (O’hare’s). This is a very nice Märzen style lager! This is number 1 of their 2nd series of seasonal bombers. Food Pairing according to O’hare’s Beer Club notes are as follows: Bangers & Mash and Roast Pork. 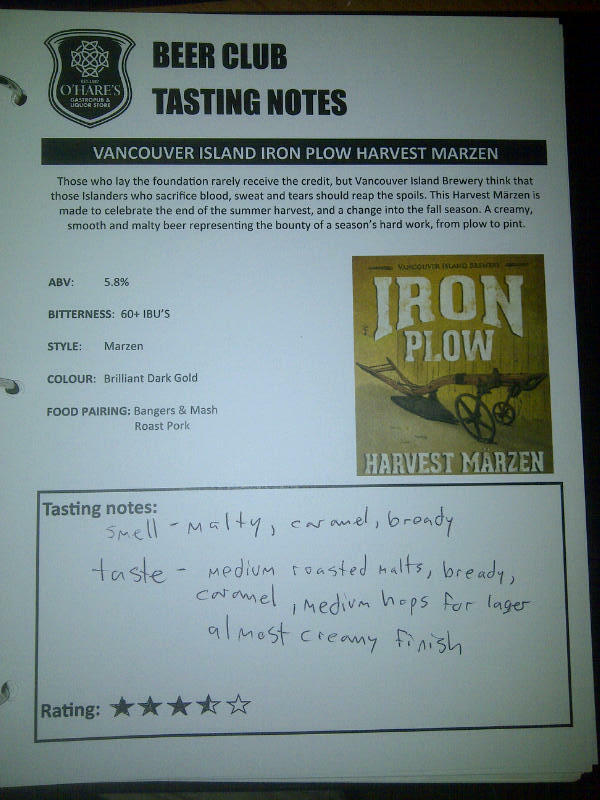 This entry was posted in Lager and tagged bc, beer, bready, canada, caramel, creamy, fall, hops, hopy, lager, malts, malty, seasonal, vancouver island, vancouver island brewing, victoria.